« There are fewer people registered to vote in 2015 than there were in 2010: is that to Labour’s advantage? How can we be smarter in talking about race? Author and academic Ludi Simpson responds to last month’s Channel 4 Documentary – Things we won’t say about race that are true. I have always thought that being open and critical, questioning and demanding, was the adult thing to do. So I am interested when I hear someone saying that equality policies should not silence anyone, as Trevor Phillips did in a television opinion piece on 19th March. He doesn’t need me to give him extra publicity, but the way he called on us all to use more stereotypes about behaviour demands some consideration. His claim was that too many White people in Britain feel they have been told they are guilty of racism and think they will get into trouble if they say what they think about people different from them. And this pent-up guilt among too many White people is feeding a political move to the right that threatens to pull down the legislation against discrimination. Whether or not policies on equality or diversity might be to blame, Trevor Phillips demands that we free ourselves up to voice our thoughts about the behaviour of other groups. At this moment, more open stereotyping would be good for democracy: ”we need to get used to giving and taking offence”. 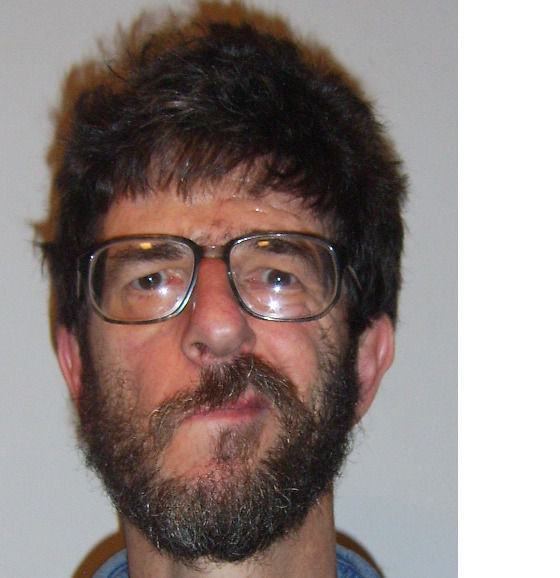 Accordingly he felt just fine saying that Jews are rich and powerful, that Colombians are responsible for drugs crime, that Britain is segregated into areas that are White, Irish, Jewish, or Pakistani, that Indian women are pharmacists, and that Black people murder other Black people. He would particularly like people who are fed up with immigrants to be able to say so without being rounded on as bigots or closet racists. Well, I’m glad he got that off his chest. Just maybe he did not need an hour of prime TV to say it, and perhaps it was not quite accurate to call it a documentary. It is certainly a change that White folk – who for a century had been told they were of the only superior race, and that they therefore deserved more than others – are now as bound as anyone else by equality laws that put human rights ahead of group rights and make race discrimination illegal. Anyone who believed the tosh of White or British supremacy might well believe there must be a link between the decline of industry, the rise of financial austerity, Britain’s growing diversity, and the passing of equality laws. Why haven’t the establishment stood up for them as promised? Who’s getting the White man’s share now? It is also a change of the past thirty years that political parties no longer have a distinctly class perspective, no-one convincingly speaks up for the under-dog. The organised underdog, the labour movement outside parliament, is weaker and legislatively undermined. The opportunity for unfettered disenchantment within the working class is significant. It is sensible to recognise this, and that is Trevor Phillips’ strength. However, I don’t think it can be sensible to encourage a racial, ethnic and nationalistic focus for that disenchantment, as he is doing. I wish Trevor could be smarter on segregation. He says “residential segregation is not the only cause of terrorism, but I believe it is one condition that allows it to thrive”, referring to the July 7th 2005 London bombings and the Charlie Hebdo massacre in Paris last year. But it is the only condition that Trevor raises. He ignores the evidence, which is that Muslim terrorist offenders are no more likely to be found in less White than more White areas, and that there is no evidence for a residential pulling apart of ethnic groups. He doesn’t mention Britain’s foreign policy of military intervention. The smart thing to do is to point at real causes of real problems and try to do something about them. I agree that it is not helpful to point to people’s talk as the problem. But neither does it help to suggest that there is “ethnic behaviour” that is helpful in tracking crime or choosing who to be educated with. The programme dealt in depth with paedophilia cases. All paedophilia should be targeted and dealt with severely, never protected, and those affected supported to prevent its recurrence; it doesn’t help to suggest that it is Pakistanis (or celebrities) who are most to blame. People like to live in areas with some others like them. That could be called the good or benign segregation. Bad segregation is the real problem, not because it is linked to terrorism which it is not, but for lack of housing and employment and the disenchantment that follows. Lack of opportunity is not limited to diverse areas, or for that matter to minorities: there are far more White unemployed than minority unemployed, even though minorities are more likely to be unemployed. The smart thing would be to also name and tackle structural discrimination of race, ethnicity and class. A perspective and politics that can unite those aims and harness the disenchantment that he perceives acutely, would be a good place for Trevor Phillips to put himself. 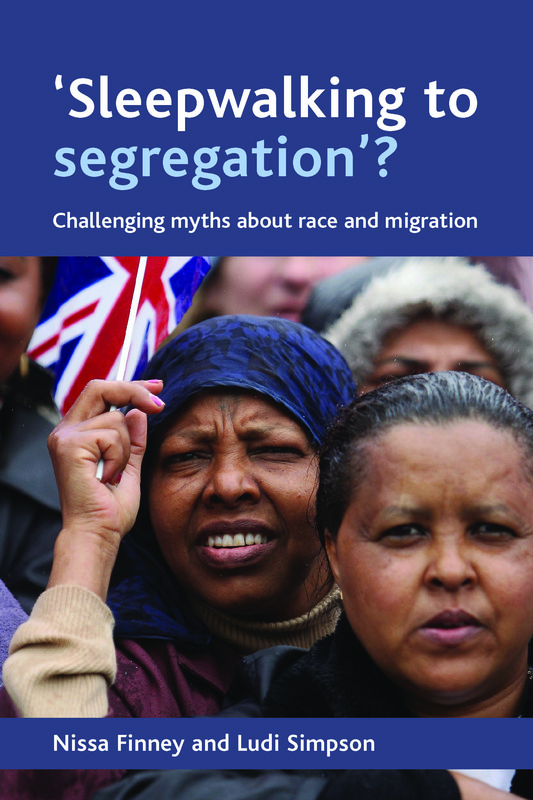 Ludi Simpson and Nissa Finney’s book ‘Sleepwalking to segregation?’ explores contemporary claims about race and migration, combining an overview of the subject with new research. The authors argue that the myths of race and migration are the real threat to an integrated society and propose that diversity and mobility are expected and benign. 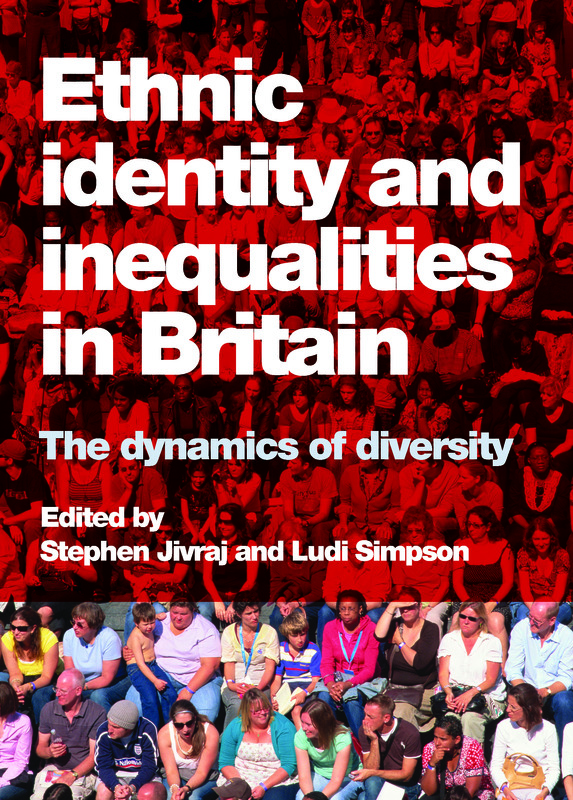 Look out for Ludi Simpson and Stephen Jivraj’s book Ethnic identity and inequalities in Britain which publishes in May this year. You will be able to purchase the book from our website here and newsletter subscribers will get 35% off if they order via the website. Not a subscriber? Why not sign up? We promise we won’t let anyone else have your data and we’ll only send you information on the books we publish. Sign up here!